I thought I would write a special blog for Halloween this year, and picked the caves in Cheddar Gorge for the topic as there’s a ghoulish story and some details of 18th/19th Century fascination with the caves. Shall we do the ghoulish story first about the petrified Witch of Wookey Hole. 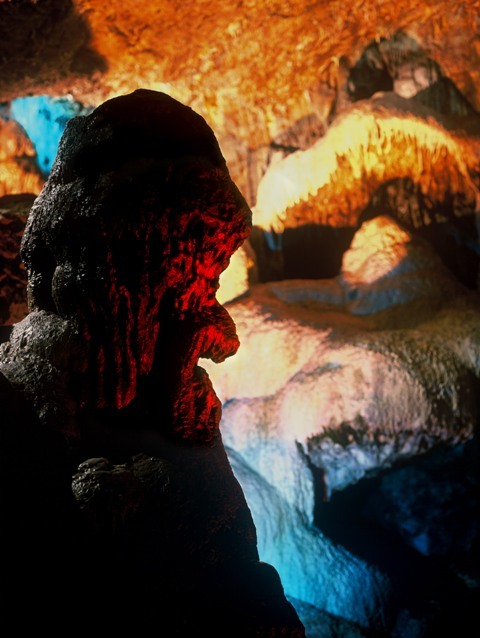 There is a very witch-like stalagmite figure which stands in the corner of Wookey Hole caves, and this figure, so the legend of the caves goes, is the petrified remains of a local witch who once lived in the caves. The Witch had had her heartbroken and in revenge, with a bitter heart, it is said she destroyed any budding romance in the village of Cheddar. So when a girl from Cheddar village fell in love with a man from Glastonbury and planned to marry the Witch cursed their love and destroyed it. But the disappointed, heartbroken, man became a monk and sought revenge blaming the Witch not the local maid. He came back to Cheddar. The Witch hid in the corner of the cave while the monk blessed the water on the floor of cave and then cupped his hand and splashed it into the corner where the Witch hid. She turned to stone and she stands there until this very day to greet you as you enter Wookey Hole caves. Thousands of tourists now explore the caves and I’m sure there will be massive numbers today. So the history bit I thought I would share with you is how visitors explored the caves in the 18th and 19th Century. Man has occupied and explored the caves for hundreds of centuries proven by the skeleton of the Cheddar Man found in Gough’s Cave. His remains are believed to date back to 7150 BC. 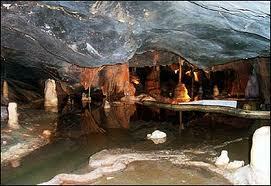 But over the years the caves had silted up and become unexplored and unknown to a large extent. But then fascination for such places grew again when the English wars were over and people’s minds turned to entertainment and exploration. This was in the era of Grand Tours, and then when the Peninsular and Napoleonic wars raged men who had gone on Grand Tour previously had to find more local forms of exploration. 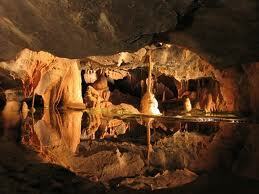 The history of tourism is recorded for one of the caves along Cheddar Gorge, Cox Cave . It was named after the family who rediscovered and opened it up for public viewing in 1838. The caves were viewed then without electric light of course. There’s an image on the above link of a man holding a brace of candles up on a long pole to enable visitors to see the caves. If you have ever explored caves you can imagine it would have been very dark and candles would have given you a flickering orange light which would have shimmered back from the damp walls, probably only revealing individual areas of the cave at a time, not all of it, leaving your imagination to roam over what was hidden in the darkness behind you. The way tourism operated then was very much the same as it did with large houses. People worked like stewards and would have a sign out for people to knock on their house if they wished to view so they would be taken into the caves in small groups. Perhaps it was on an outing from a local house, or a party touring the local area. Of course lower classes had very little leisure time then so it was mainly the upper and middle classes who came. Sometimes it was a child of the family or the wife who led tours, depending upon who was available. Sometimes a party might book a visit to the caves so they could be prepared with candles, which were then dramatically placed to reflect light from the pools which sat amongst the out crops of worn rock and acted like mirrors as clear as glass, not stirred by a single ripple. Sometimes a wealthy man might plan a dinner in the caves to impress his friends with the gothic horror of the caves. 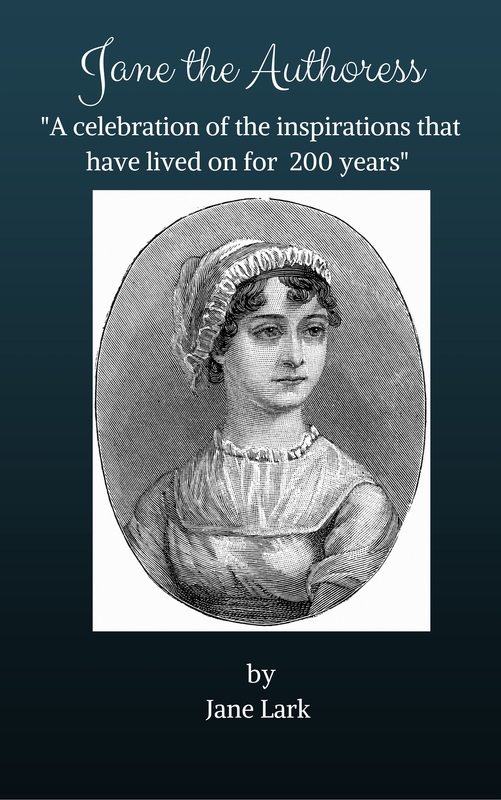 Of course as per Jane Austen’s novel Northhanger Abbey, romance, horror and spooky tales were highly popular in the era, and men considered they needed to be romantic. Think of the poets Lord Byron and Percy Shelley, who knew how to romance women of the time and had numerous lovers, and the trip where they shut themselves away on the shore of Lake Geneva and entertained each other by telling Gothic horror stories which lead to Mary Shelley (then Mary Godwin) who was with them, conjuring up the tale of Frankenstein in her imagination. 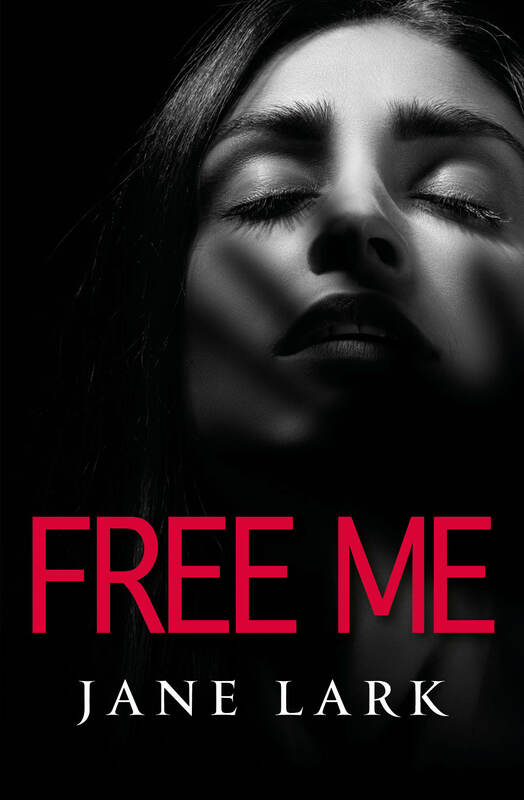 It was Shelley who encouraged her to then write the story as a novel. I am sure they would have loved to have dined in Cheddar caves. Posted on October 31, 2012 by janelark •	This entry was posted in Georgian Stories, Lord Byron, Regency Stories and tagged 1700s, 1800s, 18th Century, 19th Century, author, Cheddar Caves, Halloween, history, Jane Lark, Lord Byron, Mary Shelley, Percy Shelley, regency, regency books, Wookey Hole, writing. Bookmark the permalink. Very interesting. I love exploring caves and have visited many in North Carolina. Now that I’ve read the word “Cheddar,” I’m hungry! 🙂 Gotta go find some of Jane Lark’s books now. Thanks for introducing her to me!